Child royalty pageant shoes Sabrina 773 by Touch Ups. The stage will be the kingdom of the event honored by the shoes the winner wears leaving the whole crowd impressed. This shoe has a fancy look with the pointy front adding the royalty touch. 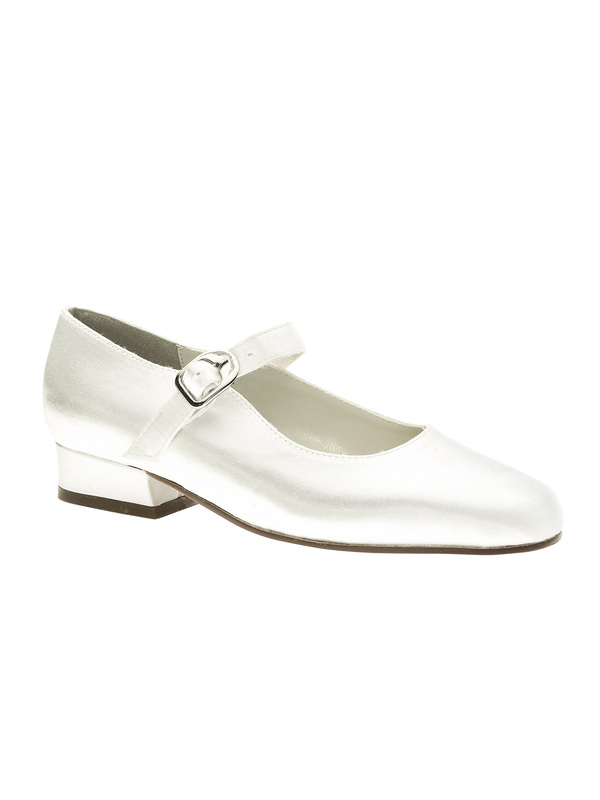 The whole shoe is made of satin and a tiny belt ties at your ankle level with taste. A 3/4" heel adds refinement to your pageant dream. Available in White. TRUE FIT GUARANTEE FEE Our products will fit you perfectly, or we'll exchange them at no additional cost to you! We'll pay all the shipping costs! We'll ship the replacement immediately. NOTE: Claims must be made within 3 days of receipt. Shoes MUST BE returned in original shoe box in new condition to qualify for exchange. Item can only be exchanged for a different size of the same model. Child royalty pageant shoes Sabrina 773 by Touch Ups. The stage will be the kingdom of the event honored by the shoes the winner wears leaving the whole crowd impressed. This shoe has a fancy look with the pointy front adding the royalty touch. 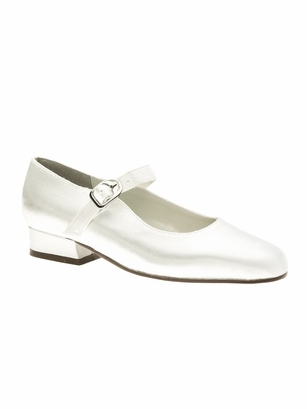 The whole shoe is made of satin and a tiny belt ties at your ankle level with taste. A 3/4" heel adds refinement to your pageant dream. Available in White. Child Royalty Girls Pageant Shoes Sabrina 773 By Touch Ups.